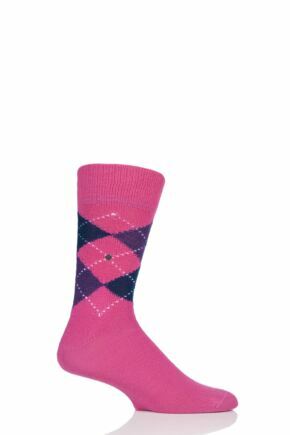 There was a time when men’s pink socks would have been unthinkable, but not anymore! The modern, fashionable man loves his pink legwear, from plain pantone and polka dots in powder pink to stripes in cerise - pink socks are now a man’s best friend. The SockShop warehouse is bursting with colourful men’s pinks socks from all the best brands and in all the best yarns, take a look at our selection below.